After just 12 months away from the top spot, the clubbing world has spoken and has decided to right their collective wrong by voting the now 27 year old Space back into the number one position in its final year. 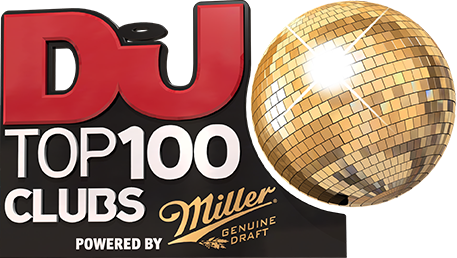 And you will hear no complaints from anyone at DJ Mag, because once again the club that has weathered a thousand musical trends, millions of fashion fads and ever stronger claims on its crown from clubs across both North and South America has had a landmark year. Explaining why is not a simple job, because there are many things that make Space what it is: the breadth and depth of its musical programming, the friendly feel of its always cosmopolitain dancefloor and its refusal to bow to anything other than pure musical expression. Back in 1989, Playa d’en Bossa was a place for families looking for a quiet get away, but over the years, owner Pepe Roselle has reacted to changing tides, to evolving laws and increased visitor numbers to make it the epicentre of the White Isle’s activities. As such, in 2016, Space leaves behind it a great legacy: it is responsible for making daytime partying so popular, is— having first shown a blueprint for it back in the 1990s — responsible for every club in Ibiza throwing extra-large opening and closing parties, and is also responsible for the ever-booming ‘Terrace Party’ scene that has infected events all over the world, not just Ibiza. Technically, too, the details about Space are astounding, even if no major changes have been made in the last 12 months. The vast club boasts more than 600,000 visitors per summer, more than 650 DJs and live acts play each season, tens of dancers in haute couture costumes add colour to each party, more than 500 staff work at the club, it has five different arenas, five bathroom areas, three VIP spaces, ten dressing rooms, its own infirmary, a custom-designed Funktion One soundsystem, acoustics on the Terrace designed by the esteemed Dr.
Higini Arau and a vast sponsorship programme that finds the club invest in local youth teams and collaborate with many NGOs, and the Red Cross, each and every season. “Summer in Ibiza has become synonymous with Space,” says Pepe, correctly and matter of factly. Legendary events like the festival-sized shenanigans of We Love… (which left in 2015 and will be replaced in 2016 by a totally different team of promoters who initially hoped to use the same name but, after public outcry, are calling themselves Sundays At Space) Carl Cox’s Revolution, Glitterbox, underground night Kehakuma and crazy carnival crew Elrow all make it so, as does a dizzying list DJ superstars both old and new who play the place each night of the season. “This is the 27th year and it marks the end of an era, of a unique and incredible story and the end of our amazing adventure,” says Pepe. “Winning this award is the highest recognition of years of hard work by all those responsible for the club, the music and our artistic standards. Artists such as Carl Cox found their natural home at Space, we gave them room to express and build their new talents and that’s not to mention the hundreds of thousands of young people who recognise Space as their home, not just as somewhere to hear and enjoy new music.